Document routing has been a sore point with me for a while. I could certainly talk to it, but I hadn’t set it up. 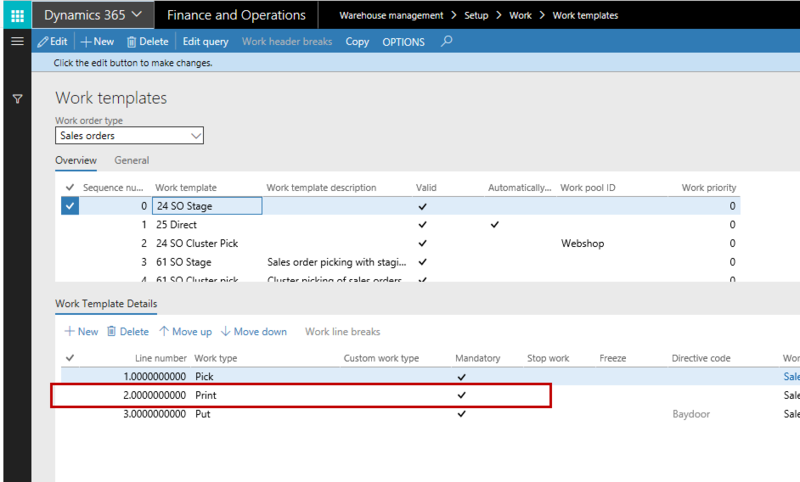 Here is a guide for getting Document routing in the (WHS) Warehouse management module up and running on 365 FOEE – I am assuming the core setup is the same in AX 2012 R3 but I haven’t tested it yet. You need to run the app and leave it open on your screen. 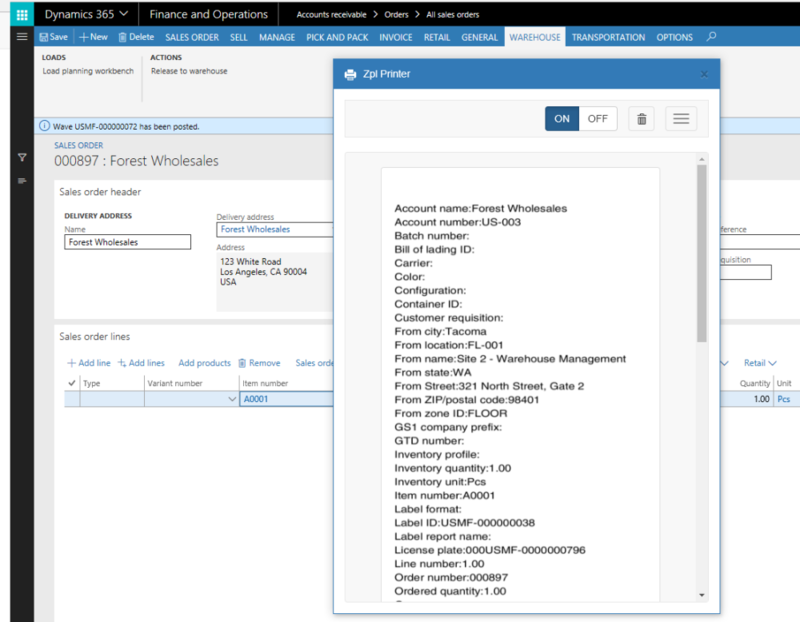 Then go into Devices & Printers in Control Panel. Add a printer. 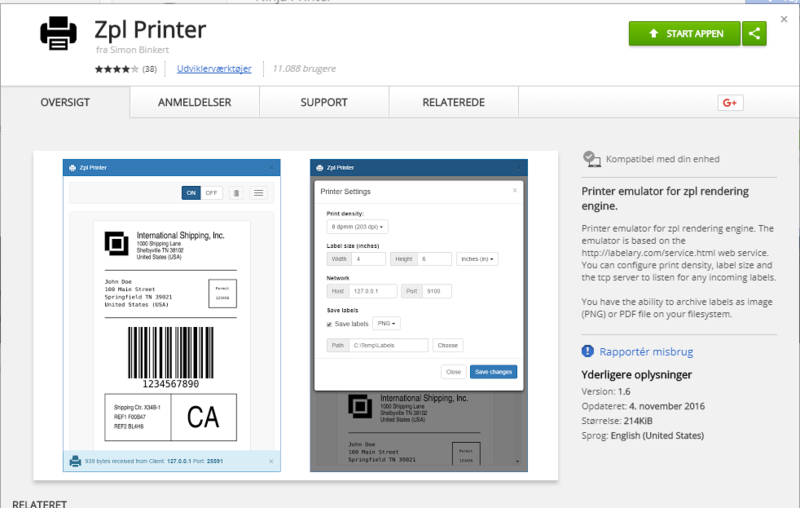 Select Add a Local Printer. Create a new port - Standard TCP/IP. Let Windows detect the port and it will eventually return an error. Select Device Type -> Custom. Press settings and make sure you have IP Address 127.0.0.1, Protocol RAW and port 9100. Wait for it to fail to detect driver model. Select Generic and Generic/Text Only. Next a few times then Name your printer. 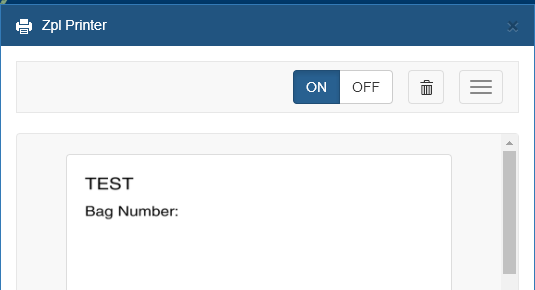 Now print the Notepad to the new printer you created and you should see a label appear in the ZPL Printer App. 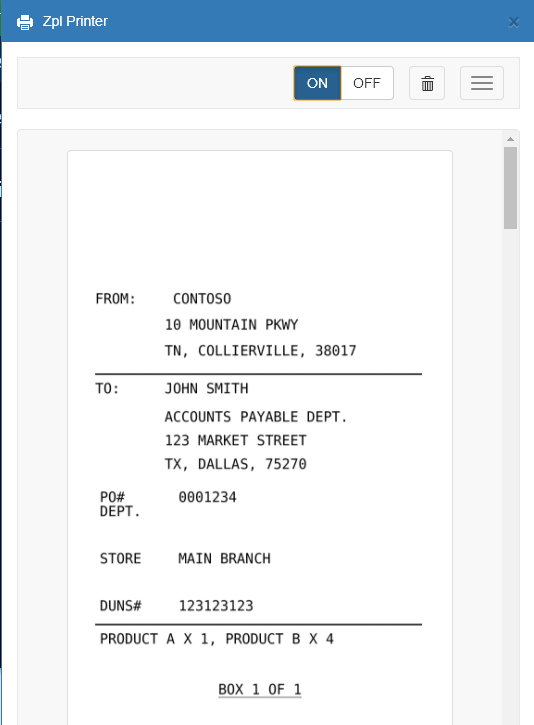 This was an example of static text, It would be a little more beneficial with data actually coming from D365FOEE. To do that Microsoft have included a (fixed unfortunately) number of warehouse related field to add to your document routing layout. Lastly we are “just” left with making a design for actual consumption – that will have to be left for homework. As in any implementation the consultant is probably jumping from environment to environment doing tests and setup. 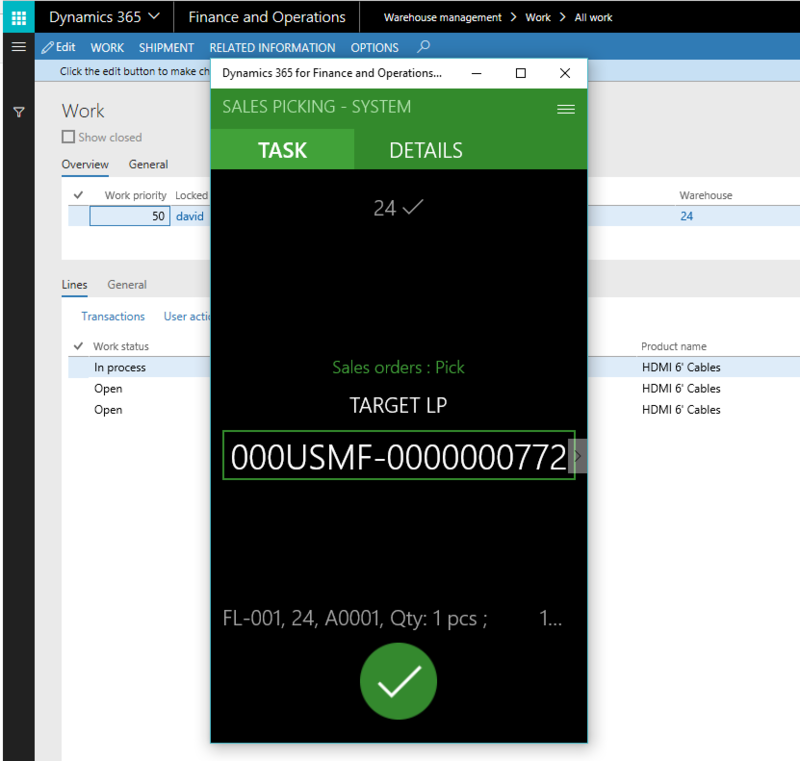 When it comes to testing/working with printing from D365FOE that means frequently updating your Document routing agent - a task unfortunately not possible once the agent has been installed. Three values needs to be updated the Application ID, the Tenant (on the same customer that is obviously not an issue) and the AXResourceID. The Tenant should not cause issues and the AXresourceID is simply the URL. 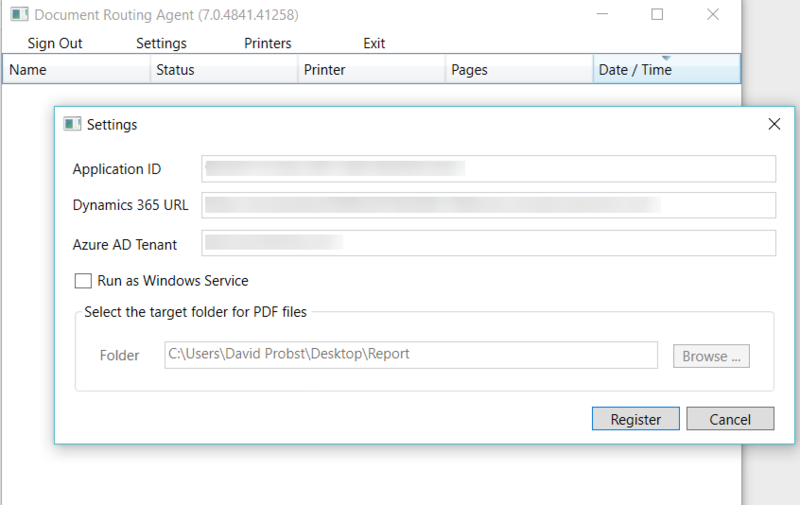 The ApplicationID you find in LCS under manage environment (=Environment ID).